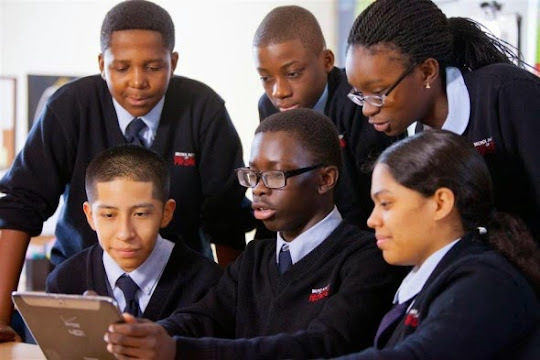 These kids from the Bronx beat out more than 350 other teams across the country to create their own math app for Google Play. The competition, backed by Verizon, encouraged students to learn computer code and develop applications for mobile devices. On February 2, President Obama released his budget request for the upcoming 2016 fiscal year, which begins this October. The president requested $1.152 billion for the 21st Century Community Learning Centers (21st CCLC) —reflecting the same funding level as the current 2015 fiscal year. Unlike his previous budget requests, the president’s proposal appears to keep 21st CCLC as a formula grant that flows to state education agencies, with states holding a competitive grant process at the state level. The proposal from previous years to turn 21st CCLC into a national competitive grant competition is not included in the proposal this year. However, as in past years, the budget proposal does propose using 21st CCLC grant funding for new purposes including adding time to the traditional school day or year, and for teacher planning and professional development. The budget proposal comes as ESEA reauthorization efforts in the Senate HELP Committee seek to eliminate 21st CCLC. In a challenging budget environment in which many programs face consolidation or elimination, the proposed level funding for 21st CCLC in the budget request demonstrates the importance and value of afterschool and summer learning programs. Yet, we know that even with this strong support, more than 11 million students remain unsupervised after school and the parents of almost 20 million students would like their children to be in programs but they are unavailable, unaffordable or both. The Afterschool Alliance supports 21st CCLC funds being directed to high-quality afterschool, before-school and summer learning programs that focus on hands-on, engaged learning that complements and enhances but does not replicate the traditional school day. While not mentioned in the president’s Budget book, the Afterschool Alliance feels strongly that 21st CCLC funding should continue to support the partnerships between schools and community- and faith-based organizations that help children improve academically, socially and behaviorally while parents are at work. For more information on expanded learning, see our Expanded Learning resource page. Additional Education Department funding that supports afterschool and summer learning includes $15.4 billion for Title I grants—an increase of $1 billion— and includes $150 million for Promise Neighborhoods, to provide additional awards to local partnerships that meet the cradle-to-career, educational, health, and social services needs of children and families in high-poverty communities. The Department of Education’s Budget Summary is online. The budget includes a new Equity and Outcomes pilot for up to ten participating Title I schools and districts. Applicants would demonstrate a commitment to equitably distributing local, state, and federal funding—and, in turn, would have more flexibility when using Title I and other federal funds to support school districts’ comprehensive plans to improve student achievement. The budget requests $1.18 billion for the Corporation for National and Community Service (CNCS). The funding level would support a record-high 90,150 AmeriCorps members, including summer positions for disconnected youth, new positions for retired Americans, and additional public-private partnerships to create more opportunities for Americans to serve. The Corporation’s AmeriCorps and VISTA programs help support afterschool programs. The president’s budget makes a historic investment in early childhood education by providing an additional $82 billion over ten years in mandatory funding for the Child Care and Development Fund to ensure that all low-income working families with children ages three or younger have access to quality, affordable child care. This investment will increase the total number of children served to more than 2.6 million, reaching more than 1.1 million additional children, and ensuring that the youngest children from the most vulnerable communities are in high quality settings where they are safe and ready to learn. The budget also provides a $266 million increase in discretionary funding in 2016 to help states implement the policies required by the new bipartisan child care law and improve the safety and quality of care while giving parents the information they need to make good choices about their child care providers. The budget maintains funding for the Community Services Block Grant at $674 million. This is a change from recent Administration budgets that proposed reductions to CSBG. Under the budget, the Upward Mobility Project would allow up to 10 communities, states, or consortia of states and communities to combine funds from up to four existing block grants— CSBG, Social Services Block Grant, and funding from HUD through the Community Development Block Grant and HOME Programs—for efforts to promote opportunity and reduce poverty. Across departments and agencies, the president’s budget includes a total of $3 billion for STEM education a 3.6 percent increase over 2015 enacted levels. In addition to increases for the popular Math and Science Partnerships and Investing in Innovation grant programs, $125 million is allocated to a competitive grant program to establish Next Generation High Schools focused on STEM. On the informal STEM side, $60 million is directed to the National Science Foundation’s Advancing Informal Science Learning program and $5 million to the Smithsonian Institution to improve their reach in STEM learning. Funds are included for the continuation of the Institute for Museum and Library Sciences STEM and ‘making’ programs for you and the STEM AmeriCorps VISTA program. NASA’s Office of Education receives $89 million and the Science Mission Directorate receives $20 million to make their programs and materials more accessible. The president’s budget request now goes to Congress, where budget and appropriations deliberations for FY2016 are getting underway. House and Senate Appropriations Committees are holding hearings this winter to hear details of the education budget request from Secretary Duncan. Friends of afterschool programs can contact their Members of Congress to express support for 21st CCLC and federal funding for afterschool programs. There even is an international organization that oversees these gatherings, Major League Hacking, which tracks the scores earned by universities and colleges at all of its sanctioned events. In 2014, Rutgers University was ranked 16th in the nation for its students' participation and winning achievements. Late in 2014, some of the female computer science majors in Rutgers' computer science department, who dubbed themselves HackHers, conceived of a hackathon with a special focus to meet the needs of women. They went to two advisers — Elaine Zundl, dean of the Douglass Project for Rutgers Women in Math, Science and Engineering, and Beth Bors, program coordinator for Pre-College Programs for Women in STEM, and outlined their plan for a new sort of hackathon. 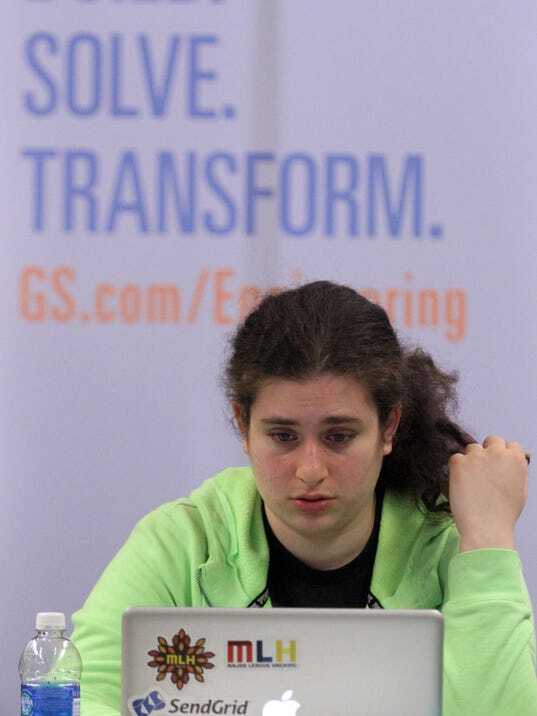 Yes, it would have the popular competition between teams of programmers writing code throughout the night. But they wanted to attract women who are not in computer science and teach them to code. They also wanted to bring in experts who could take computer science students to new levels.